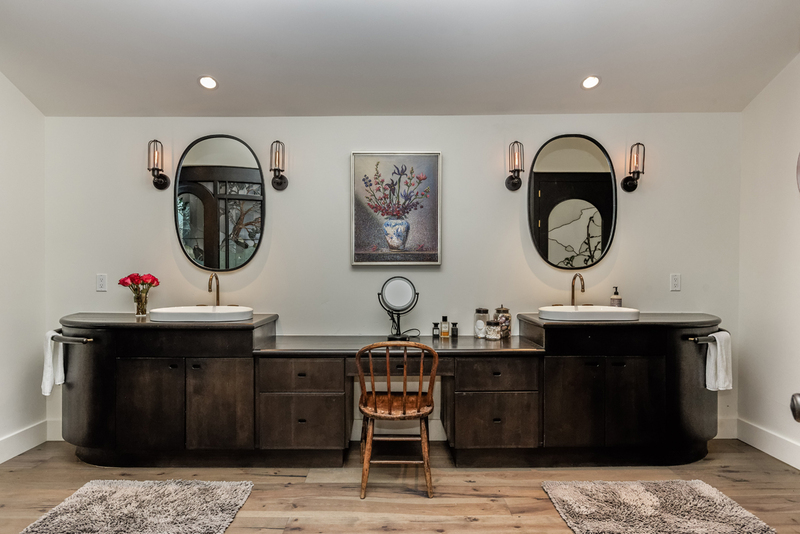 With guidance from their real estate agents, Jim and Anita Bineau of Coldwell Banker Mason Morse, the O’Donovans purchased the residence in 2016. They quickly got to work bringing the home into the 21st century with new electrical, plumbing and other modernizations. 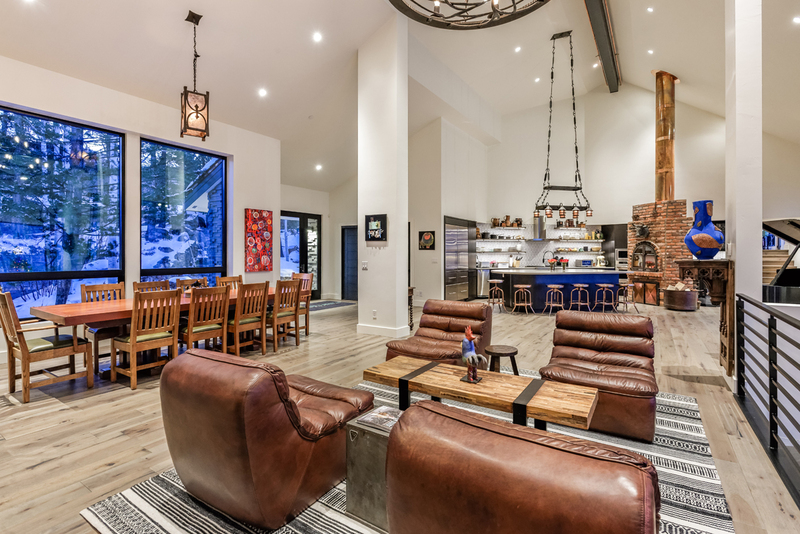 They commissioned local general contractor Dan Coleman of Coleman Construction and architect Jeffrey Hancox. Dan’s wife, Wynee Coleman, sourced flooring, tile and plumbing fixtures. Two years later, the team succeeded in realizing the family’s vision for a sophisticated home balanced with casual comfort and preservation. They took great care to integrate many of the original architectural elements that Denver had infused in the home over the decades. 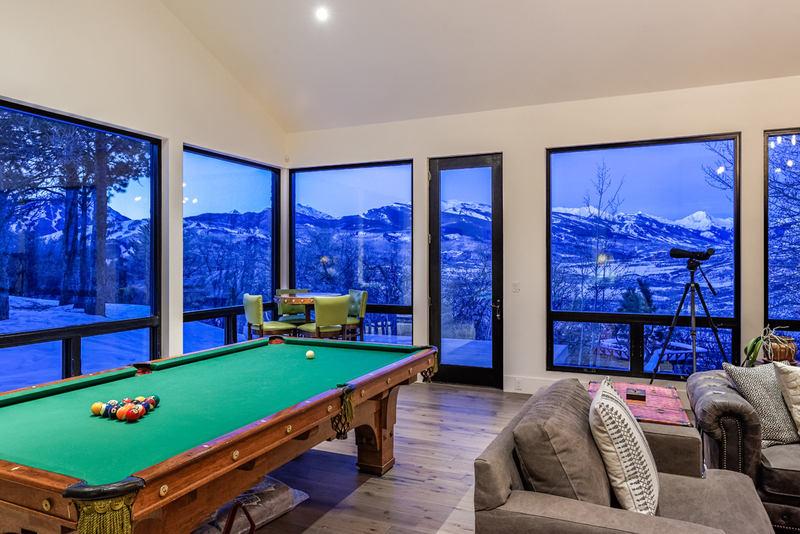 The O’Donovans’ team opened up the already spacious 7,735-square-foot floor plan by moving walls, raising ceilings up to 25 feet, and increasing the number of floor-to-ceiling picture windows that frame the Rocky Mountain views. 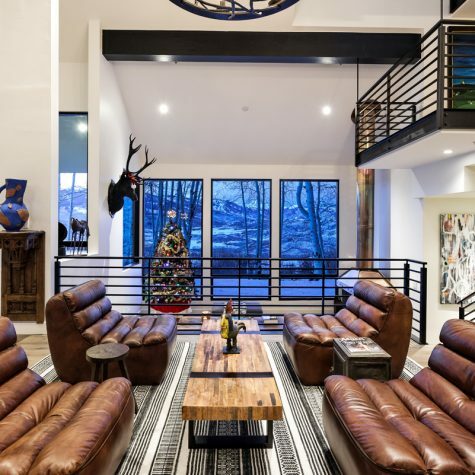 They created open spaces designed for the casual mountain lifestyle. 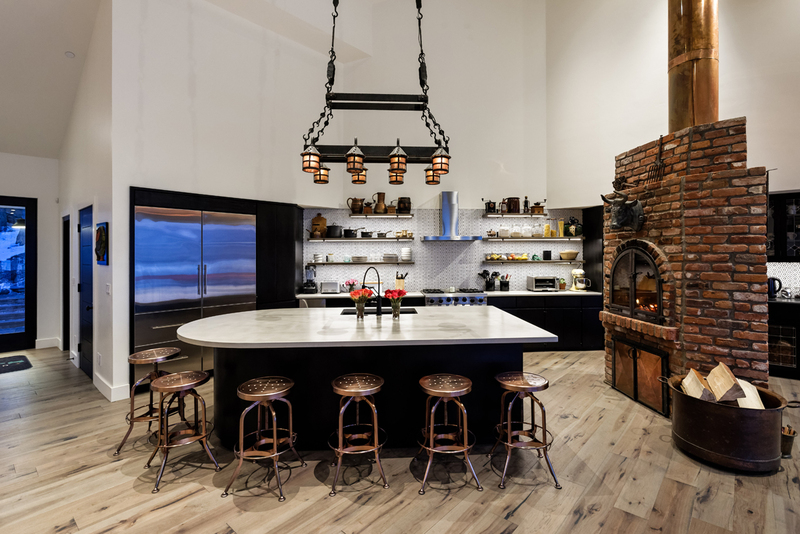 A new kitchen with an oversized center island opens to the living room and dining room. 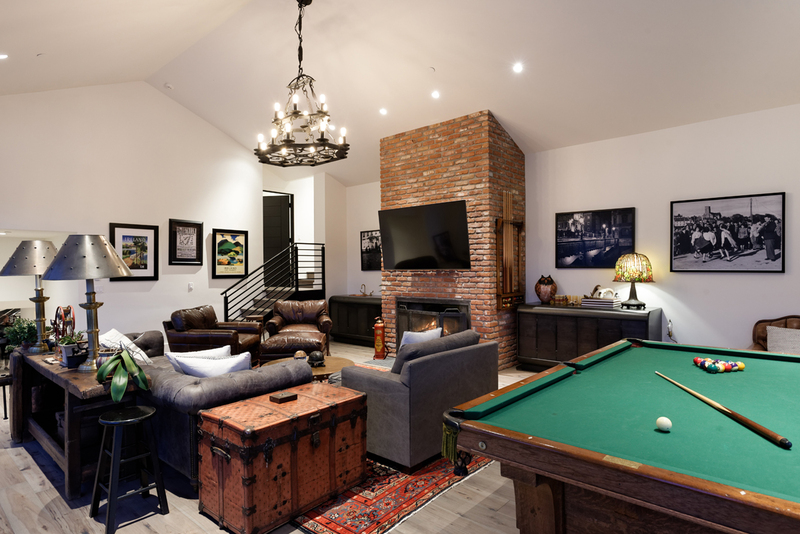 A separate media room and game room offer more places for leisure. Large decks off the main entertaining levels offer more opportunity for get-togethers in the summer. The master suite beckons, with its privacy, views, large walk-in closet, sumptuous bath and private deck. 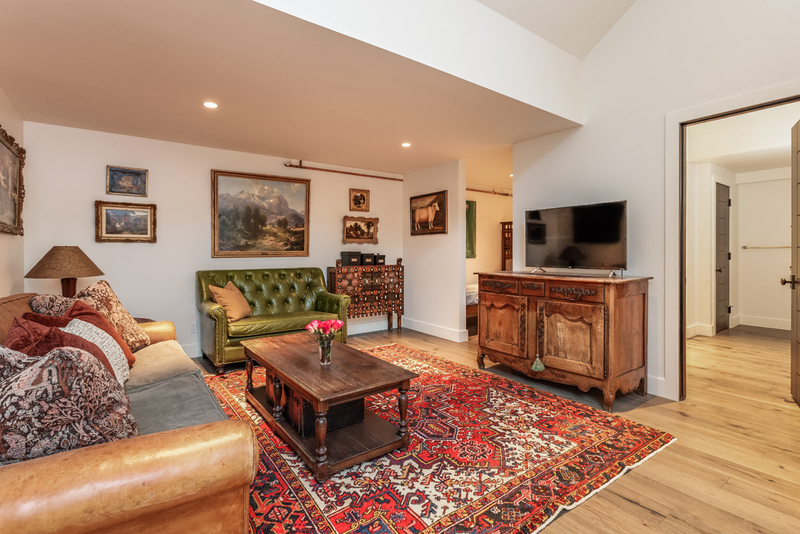 A second bedroom suite is ideal for extended family stays, since it has a sitting room and bunk room for kids. 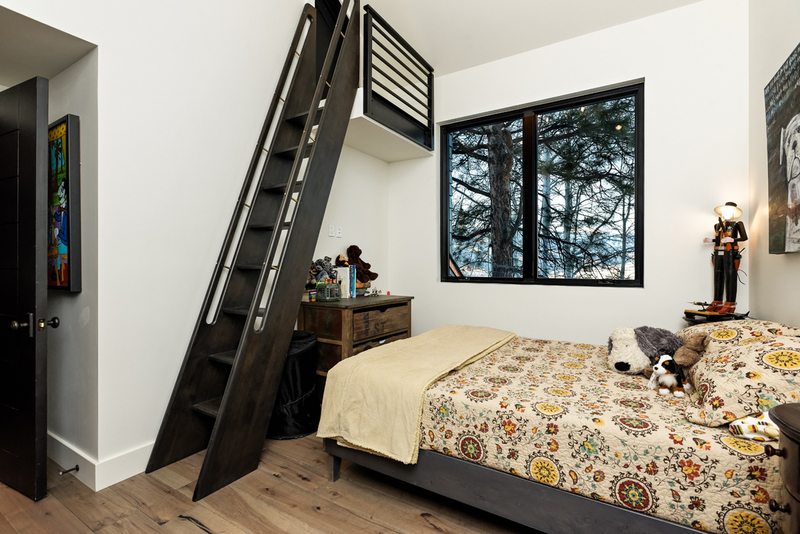 Three other guest bedrooms, including one with an original loft, bring much-needed flexibility to a home in a resort market like Aspen. 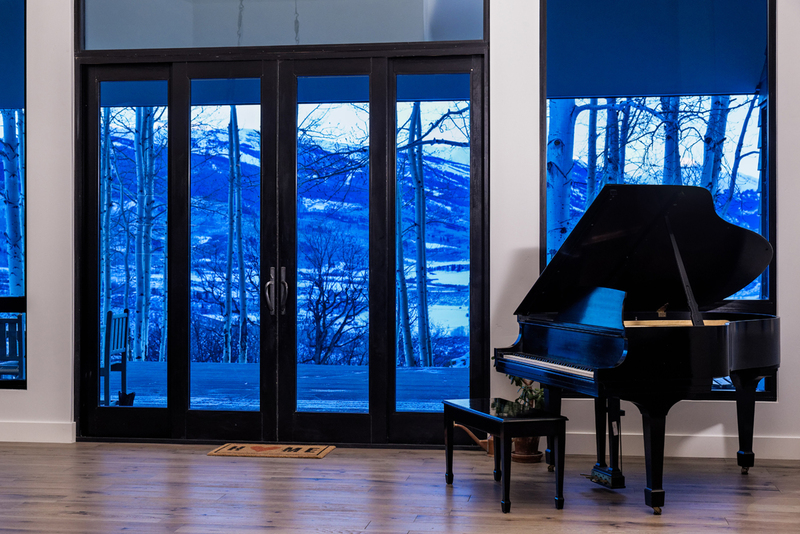 Of course, the real art is the canvas of Rocky Mountain wildlife that exists just beyond the reaches of their home — a fact not lost on John Denver himself or anyone who visits the residence for the first time. 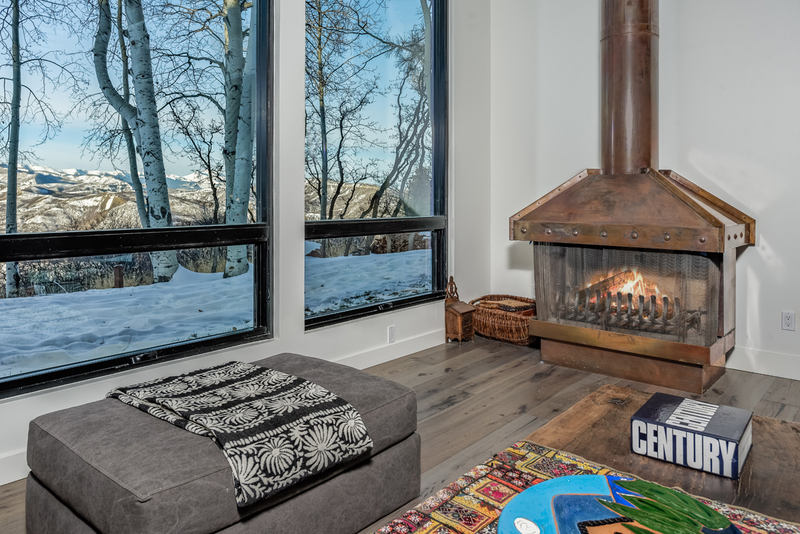 Notes Anita: “The interior spaces really capture the natural beauty of Aspen. 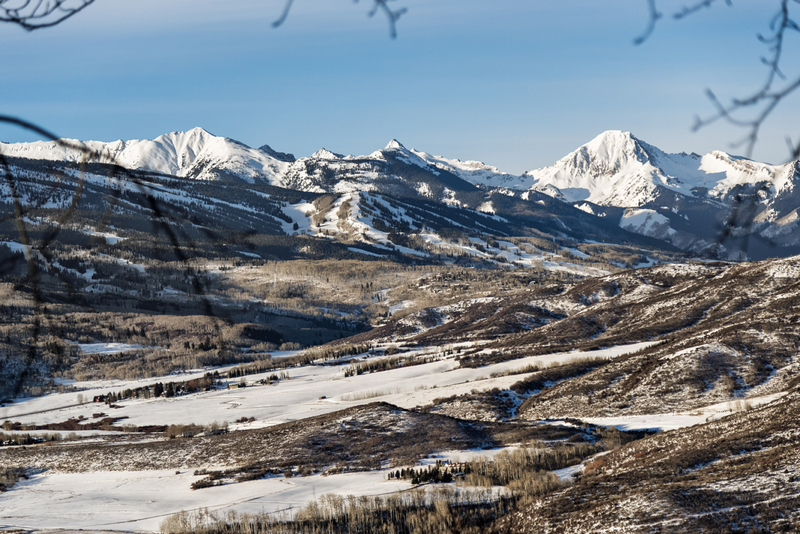 In the winter, you see the snow-capped mountains. In the summer, it’s beautiful with all the Aspen trees. When fall comes, you see gold and orange leaves.” It’s just the sort of scenery that must have inspired Denver to write nearly five decades ago: “I think on my children’s sweet smiles. 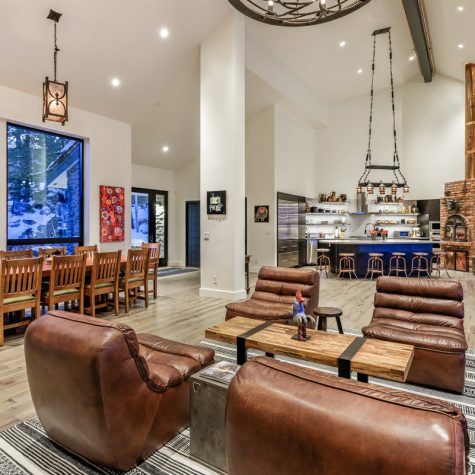 I think on my home in Starwood in Aspen. All my friends and the snow-covered hills. 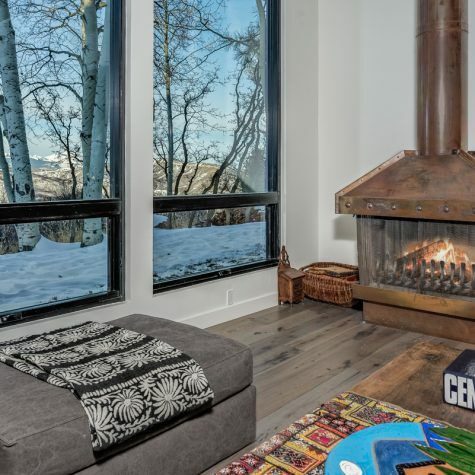 Oh, my friends are the snow-covered hills.” Now, one fortunate homebuyer will have an opportunity to experience this same deep connection to the land in one of Aspen’s most legendary estates.